for Sussex, Surrey & Kent. Identify Drainage & Plumbing is a family run independent business which prides itself on keeping its customers happy. We identify the problem, respond and resolve the situation quickly and efficiently, keeping everything hassle-free and cost-effective. Jim Field has over 25 years in the industry. 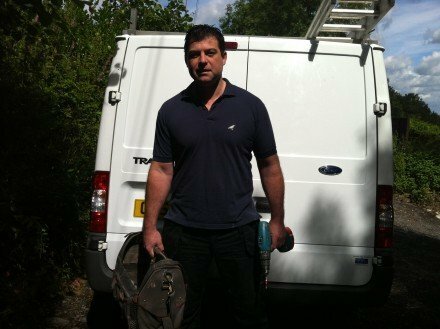 Jim and his team have identified and resolved literally thousands of blocked drains, leaking gutters, fixed pipework, blocked sinks, toilets, baths, showers and much more. 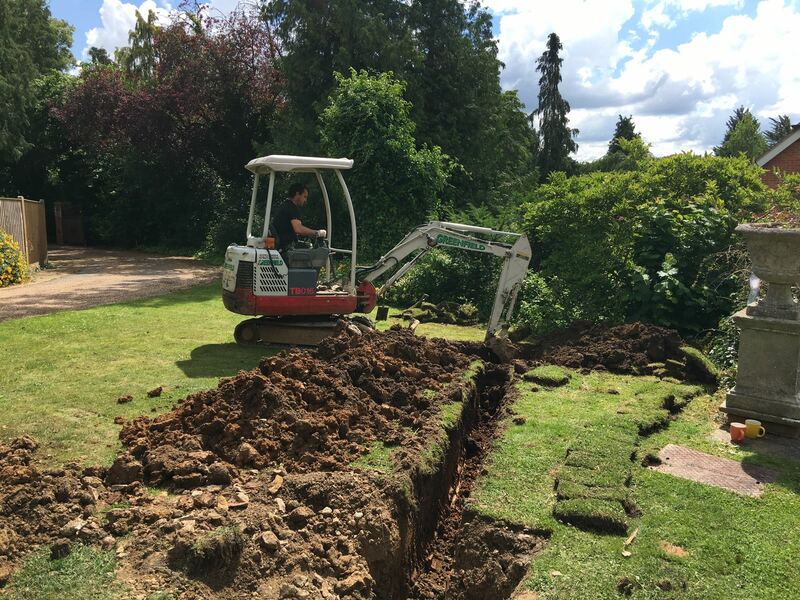 As one of the leading Drainage and Plumbing companies in Sussex, Surrey and Kent, we strive to offer you the most comprehensive and affordable service available. Identify Drainage and Plumbing pride ourselves on being reliable, trustworthy and highly skilled at what we do with the most up to date equipment. We are experts at unblocking drains and offer an emergency drainage service 24/7 with a 1 hour response time to all emergency blocked drain call outs. Rest assured our expert engineers are skilled and trained in all of the areas we cover. We use fully qualified and time served plumbing engineers, we are fully insured, CRB checked and there is no call out charge. We pride ourselves on being friendly and flexible to suit our customers needs. With a fair, transparent pricing structure, we always provide an estimate before any work starts. Our aim is to identify and resolve the issue quickly and efficiently, keeping it hassle and stress-free for the customer. Read our testimonials below to see what our customers have to say about us. Blocked drains need clearing? 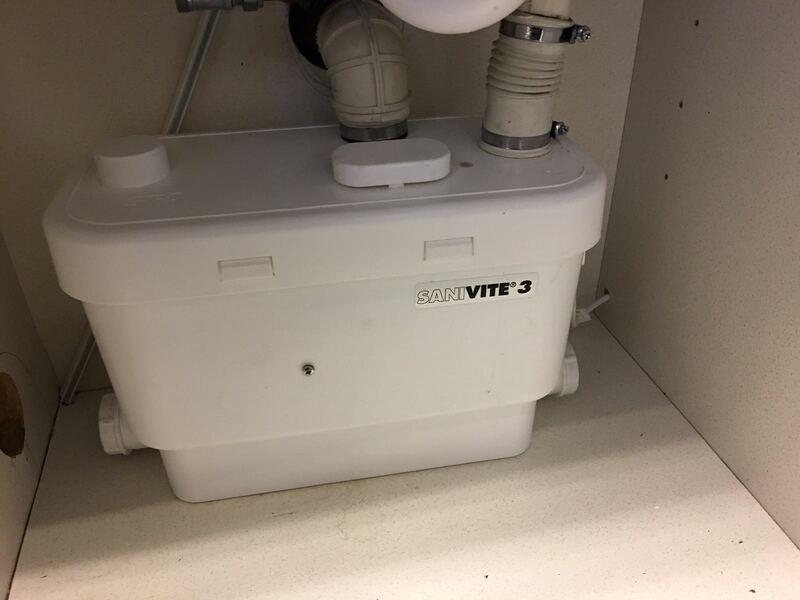 Buying a home and need a drain CCTV Survey? 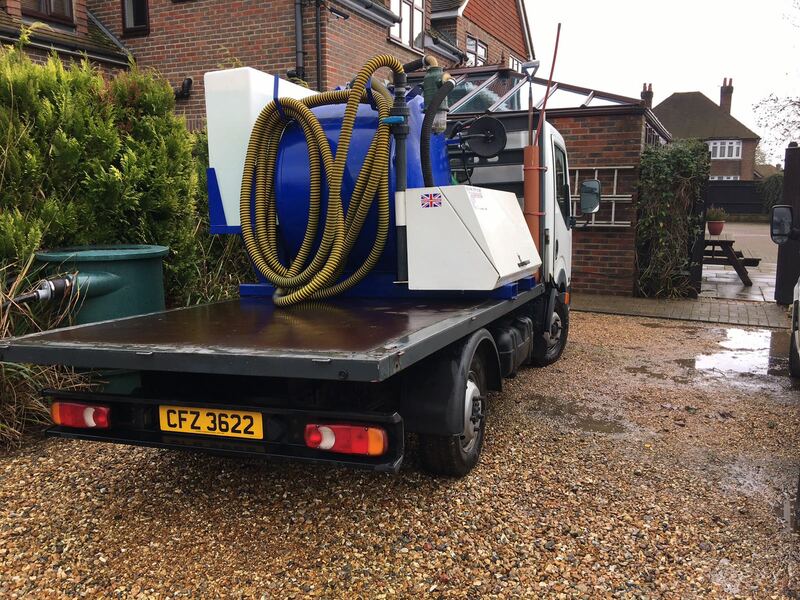 Identify Drainage services offer a full range of drainage solutions for the Sussex, Surrey and Kent area. Guttering overflowing? Rainwater not soaking away? 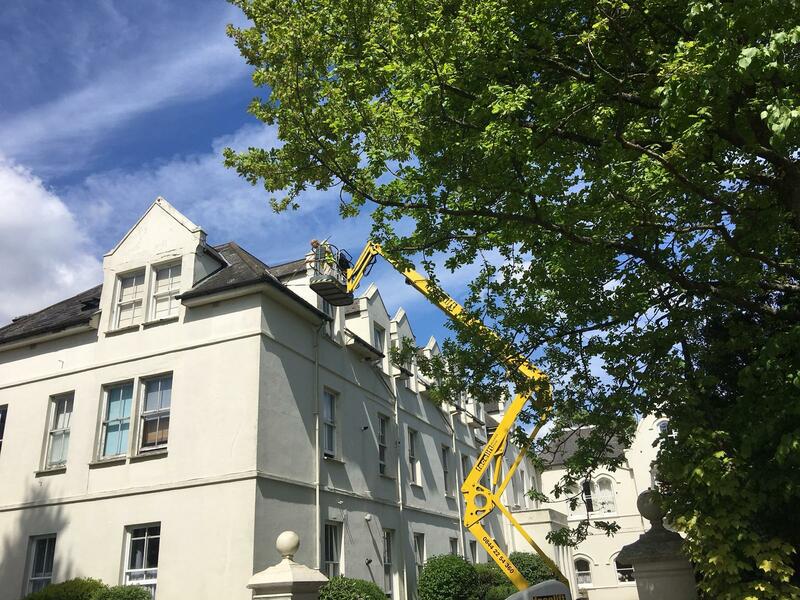 Our guttervac system can clean gutters up to three stories high and over conservatories. Unlike other companies we can also unblock at high level with access platforms. 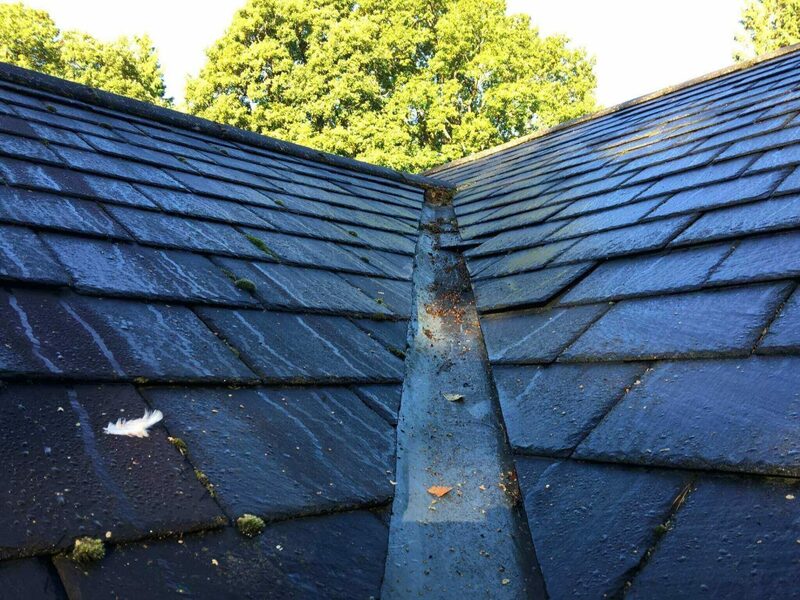 We can fix gutters and unblock soakaways to keep your home or business dry and damp free. Give us a call for a free quote - 07500 438383 . We cover Sussex, Surrey, Kent, London, Essex & Hampshire. And many other areas in between - include Crawley, East Grinstead, Horley, Horsham, Guildford, Tonbridge, Royal Tunbridge Wells, Maidstone, Bexhill, Hastings, Brighton, Worthing, Eastbourne, Epsom, Leatherhead, etc. Leaking toilet and flood in our reception area.